Everyone is friendly and professional! Makes going to the dentist a piece of cake. Best dental facility I have ever been to. 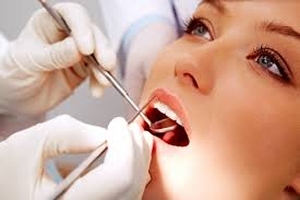 Taking care of your smile is one of the most important things you can do for your appearance – and your health. But let’s face it – for some people, going to the dentist can be nerve-wracking. That’s why the entire Chico Dental Care team is focused on making sure your visits are relaxed and comfortable. We’ll explain your treatment options in detail, in terms you can understand – whether you’re in for a routine cleaning, a restoration, or even a cosmetic procedure. You’ll also get the benefit of not just one, but two doctors centered on you. 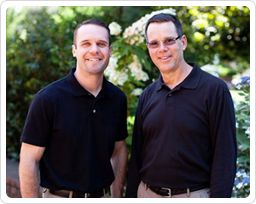 Dr. Steven McComb and Dr. Tony Jewett take a comprehensive approach to your care, combining years of experience and skill with the most advanced dental technology to ensure you have a smile you love. Smile. You're in good hands. From the time you walk through the door until you leave you are well taken care of. Ladies at the frontdesk are very inviting and helpful, answered all my insurance questions. Hygienists are great, I love that they make your next cleaning appointment before you even leave the room. Dr. McComb takes the time to get to know you and listens to any concerns you may have. He is very good about explaining any treatment you may need. Chico Dental Care makes going to the dentist a piece of cake. I switched dentists a little more than a year ago, something that is never easy to do. From the moment Imade the change, the office staff have been amazing and super helpful! It was smooth and the only issue I had was that I so wish I had done it a long time ago! Dr McComb took his time, answered all my questions addressed all of my concerns and never once made me feel rushed or that he had anything else he needed to tend to. And the amazing part of that, is it's that way each time I see him. So very happy I made the switch and have no intentions of leaving Dr McComb’s practice! I would like to thank the entire staff for all of their help and excellent service. I have been a patient for over 10 years and would definitely recommend this office to anyone. My favorite part is that the staff really gets to know you and offer service that I have not experienced anywhere else. Every visit at Chico Dental Care has been a great one! The front desk is always friendly and helpful. The dental hygienist are wonderful and do a fabulous job; and most importantly Dr. McComb is the best Dentist I have ever been too!! He is thorough and incredibly skilled at his work. I am so thankful for their office! Once when I had to bring my young children to an appointment due to babysitting falling through,they were all so accommodating. As long as Dr. McComb is practicing in Chico, I will be a patient. Dr. McComb is, by far, the best dentist I've ever had. My husband and I agree that he is so refreshingly knowledgeable and thorough. Also, the rest of the staff is absolutely delightful and personable. We wouldn't dream of going anywhere else.